Forget Charlie and the Chocolate Factory, because now, the smoothest and creamiest chocolate fountain is here in the Philippines. 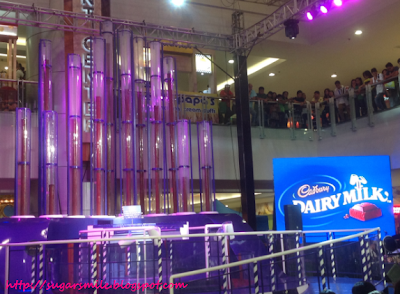 The first in the country, Cadbury Dairy Milk wants to show you how fine their chocolates are by bursting into tubes of goodness while playing your favorite songs, only at SM Megamall. Since its creation more than 115 years ago, Cadbury Dairy Milk has always prided itself for its luxurious, smooth, creamy and delicious taste. From its British origin, passed to many countries including the Philippines, there is no denying that its unique taste transforms simple moments into pure bliss. 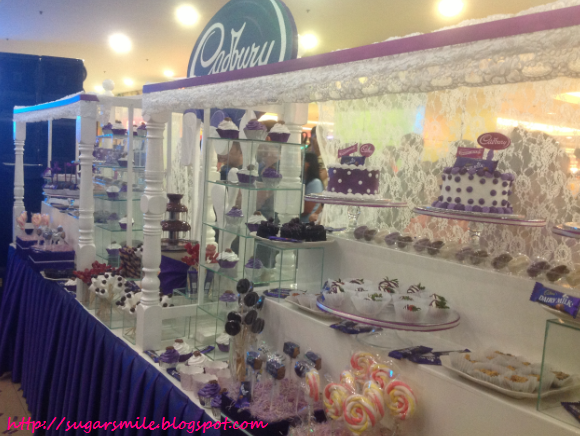 If you can’t resist their different variants like the Dairy Milk, Fruit and Nut, Roasted Almond or Cashew and Cookie, it is best to head on over to SM Megamall to see the spectacular Cadbury Dairy Milk Creamy Chocolate Fountain at the Events Center, Lower Ground Floor of SM Megamall Building A. Open from July 6 to August 5, this one of a kind display will let you make the chocolate sing, dance and flow. For only a minimum purchase of Cadbury Dairy Milk 30g bar at Php25, gives you access to play the “chocolate bar” keys of the unique piano that controls the Creamy Chocolate Fountain. 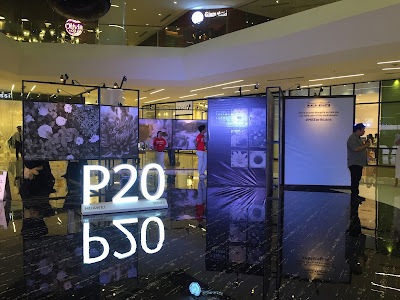 Brand Manager Andrei Soriano said, “To show everyone just what makes Cadbury Dairy Milk special, we’ve created a large and impressive structure for you. It’s the Creamy Chocolate Fountain that you can experience for yourself to see just how smooth, creamy and delicious Cadbury Dairy Milk is”. Make the chocolate pipes sing with joy by visiting the Creamy Chocolate Fountain now. Not to eat it, but to make sweet music with it. 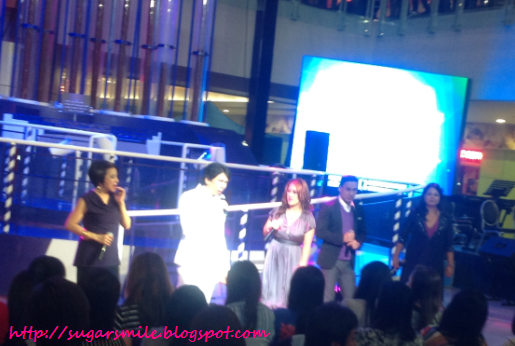 To know the latest from Cadbury Dairy Milk, Like their Facebook Page at www.facebook.com/cadburyph. A product of the Mondelez Philippines, know more about the company and its 50 years in the country by visiting their website at www.mondelezinternational.com/ph.